Grain Bin Painters specializes in making farms, businesses, and industrial facilities look great—and last longer. We are committed to working closely with you to make sure you get the exact paint job you envision, and the best possible protection for your structures and equipment. 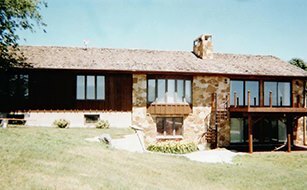 We have more than 40 years of experience making homes and family farms stand out. Whether you need your house, roof, barn, shed or fences painted, we have the equipment to do the job right and guarantee you will be happy with our work. The paint job on your business matters. Whether you want to display branded colors, add signage and lettering, or simply turn your business into a highly visible landmark, our expert commercial painters will work with you to deliver exactly what you need. Industrial equipment is a major investment, and you need to protect it. 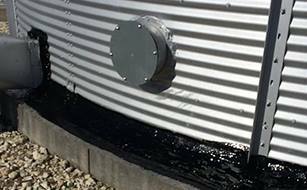 At Grain Bin Painters we know exactly which mixtures of paint will protect your equipment from rust, corrosion and wear and tear—without going over budget. Sign-up to receive email updates from Grain Bin Painters with information about news and upcoming events. 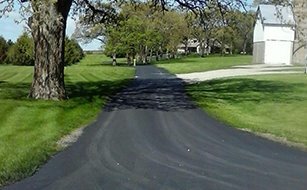 Call 515-451-1192 or request a free, no-obligation estimate online today!